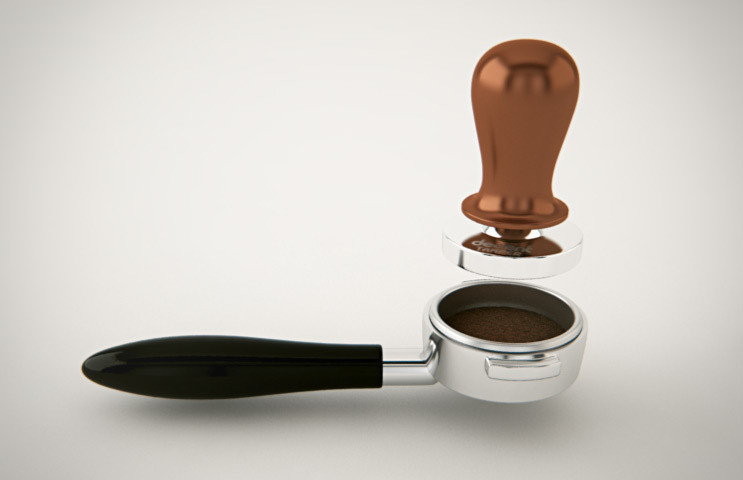 Our innovative, perfectly fitting espresso tamper. 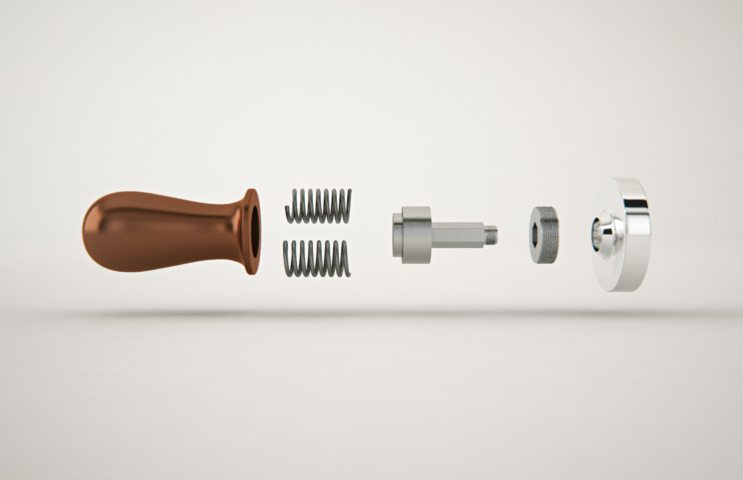 Everything you need to tamp espresso perfectly. Includes all four basket sizes. Please indicate what tamper type you want in your notes when you check out. 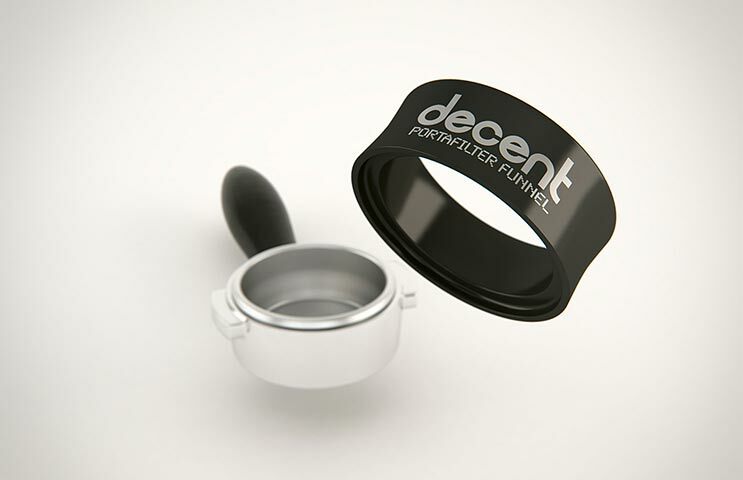 Portafilter baskets made to precisely fit our tamper. 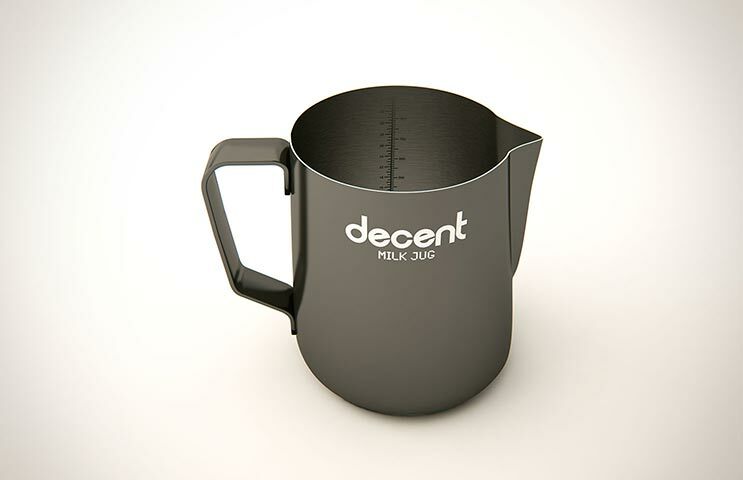 25lb replacements or try the 30lb SCAA standard. Only for v1 tampers. A replacement tamper base in case you damage the edge of yours by dropping it on a hard surface. Only for v1 tampers. 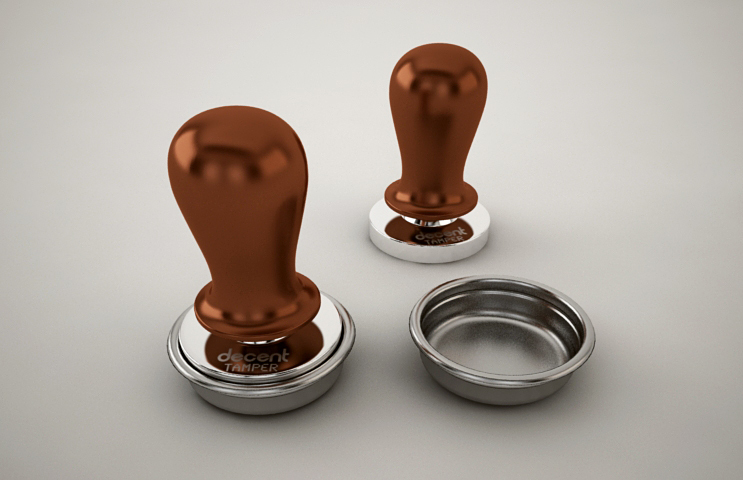 Which Tamper Base to Choose? Our standard base has a 58.40mm base and a rounded bottom edge for easy insertion and removal of the tamper. The rounded edge is more robust, and will last longer in environments where things get dropped on the ground. 1mm vertical grooves are hand-ground into this base, and allow pressure to escape as you lift the tamper. This prevents suction from disrupting your puck. The grooves require you to keep your base clean with an occasional wipe of a cloth. 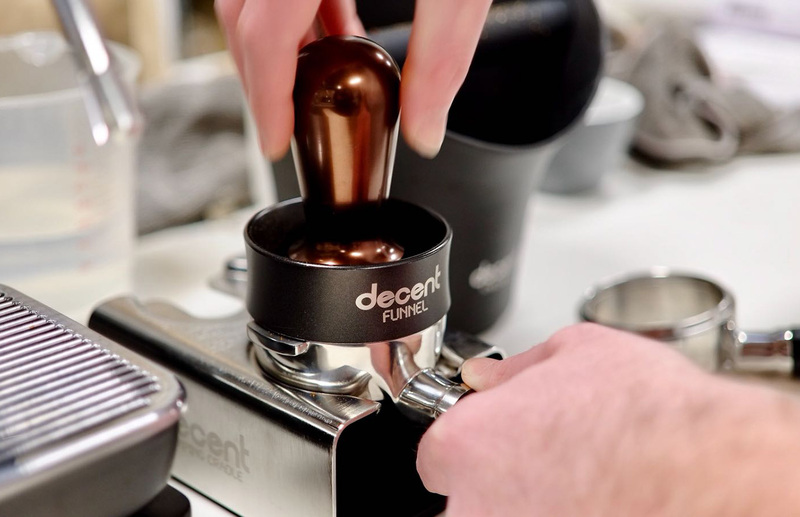 A slightly different tamping technique is required. You should lift the tamper gently off the puck, to allow pressure to be released. 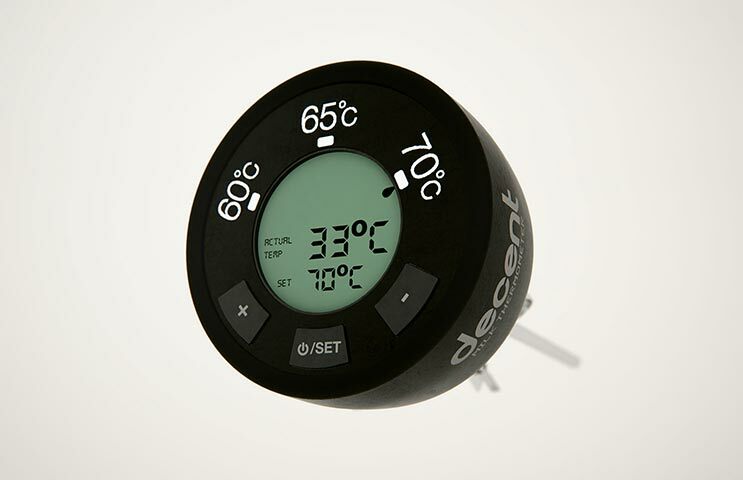 Our grooved base has a 58.50mm base and a sharp bottom edge to prevent coffee grounds from creeping up the side walls. Because our baskets are made with an internal diameter of 58.70mm, the match between tamper base and basket allows only a tiny 0.2mm gap. 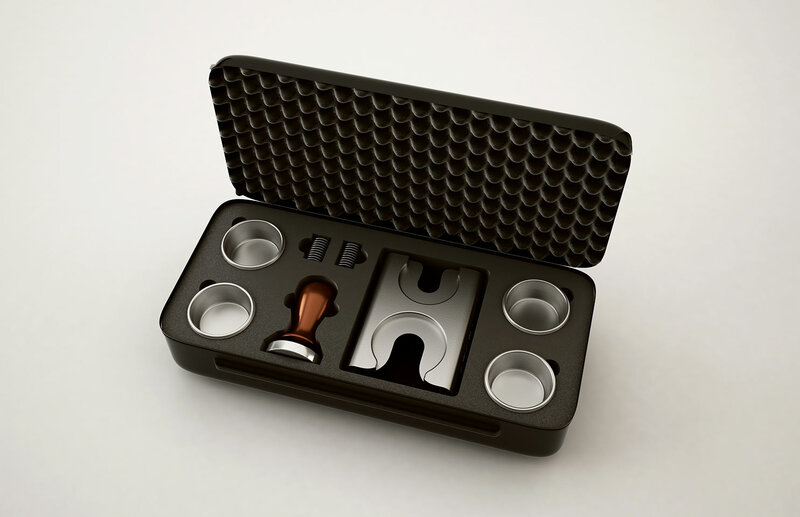 Other manufacturers' precision baskets (VST, La Marzocco, Synesso) are also made to this size and work equally well with our grooved tamper base. The sharp edge of this tamper is more easily damaged if you drop the tamper on the floor. 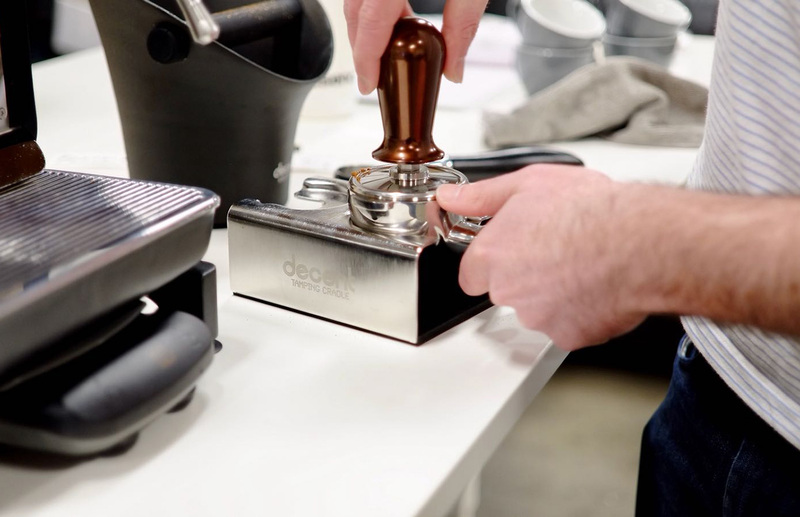 In exchange for this extra care, you will be rewarded with an extremely precise tamp giving higher extraction levels, an even grounds bed, and no side channeling. 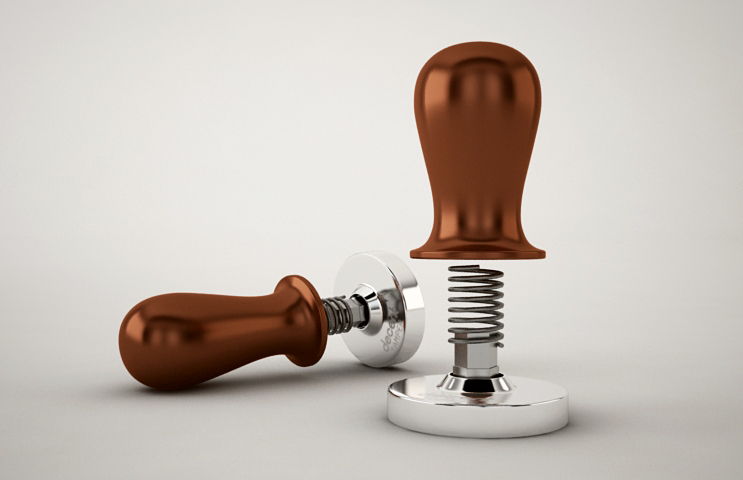 A calibrated 25lb spring ensures identical tamping, even between different people. Our tests found that the grounds are fully compressed at 25lbs. More pressure is not needed. Many people press harder than they need to, and thus increase muscle and joint strain, as well as the risk of repetitive stress injury. After 20,000 tamps the spring will be easier than 25lbs. That's why we sell inexpensive replacement springs. Or use 30lb springs if you prefer the SCAA standard. If any component breaks, send us a photo and we will send you a replacement for free. 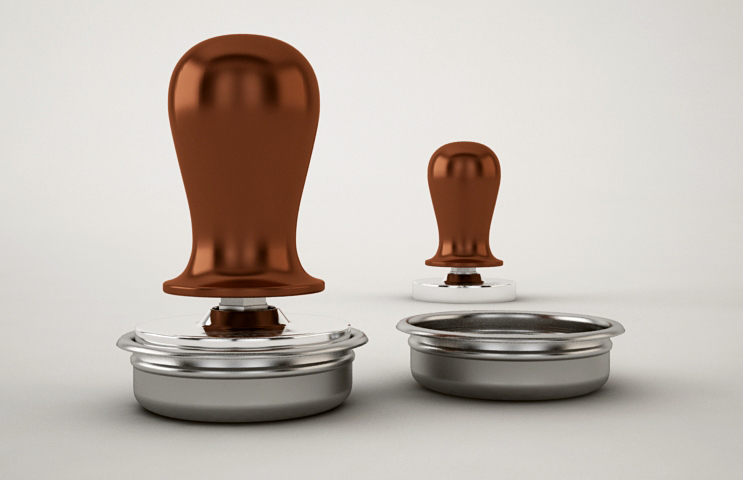 Each tamper is made on a computer controlled lathe, not a mold, and the base is accurate to 0.05mm. 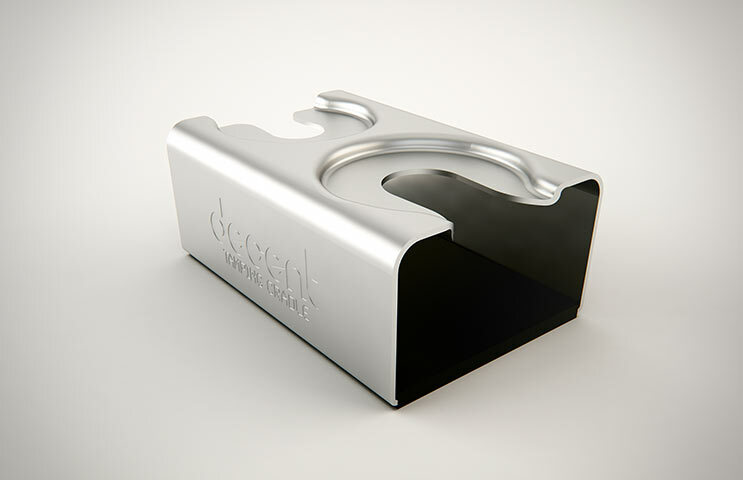 Our large, rounded handle feels great in the hand. We manufacture our own basket, so that our 58.50mm tamper base fits perfectly (within 0.05mm) in it. 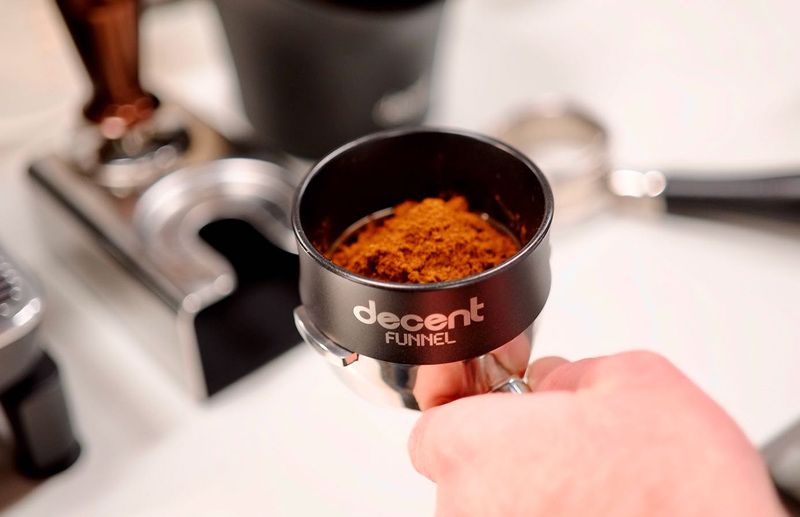 Also works with most baskets on the 58mm standard (such as E61 espresso machines). 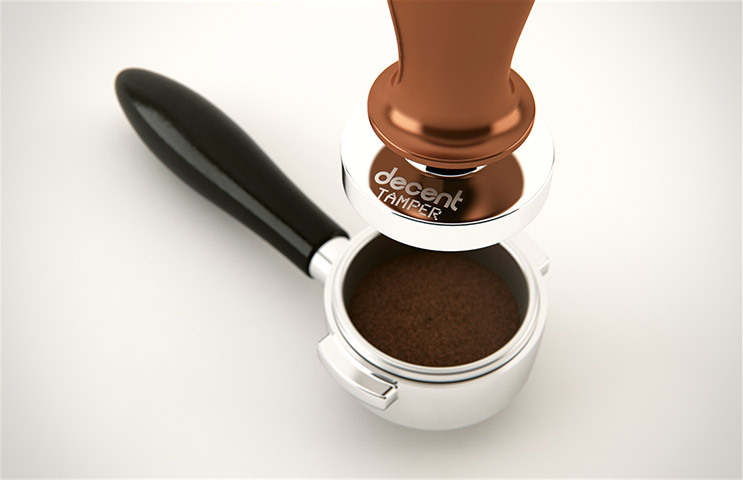 Using our tamper with our paired basket means that sideways tamps are literally impossible. Tampers that don't fit snugly in a coffee basket leave an untamped ring of grounds, which promotes side channeling and bad tasting espresso. 25lbs of perfectly calibrated tamping pressure, every time. Manufactured as a matched pair with our custom made baskets. 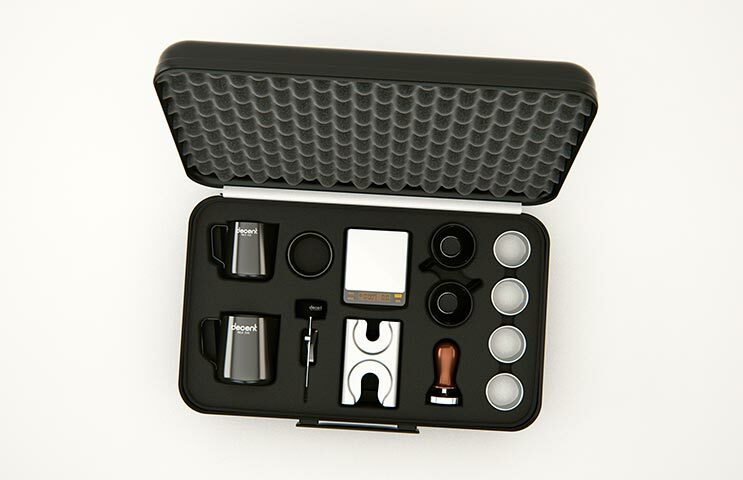 Everything you need to tamp the perfect shot. Custom molded ABS plastic: the same material on airplane carry-on luggage. Try the 25lb spring that our tests found works best, or use the 30lb spring that is the SCAA recommended standard. Both are included. Microscope tested and precision machined to fit the tamper base. 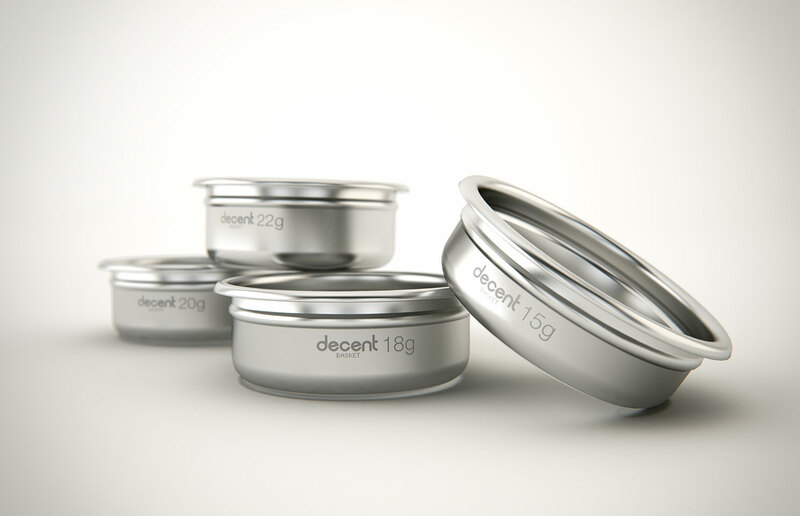 Four baskets are included at 15g, 18g, 20g and 22g doses. 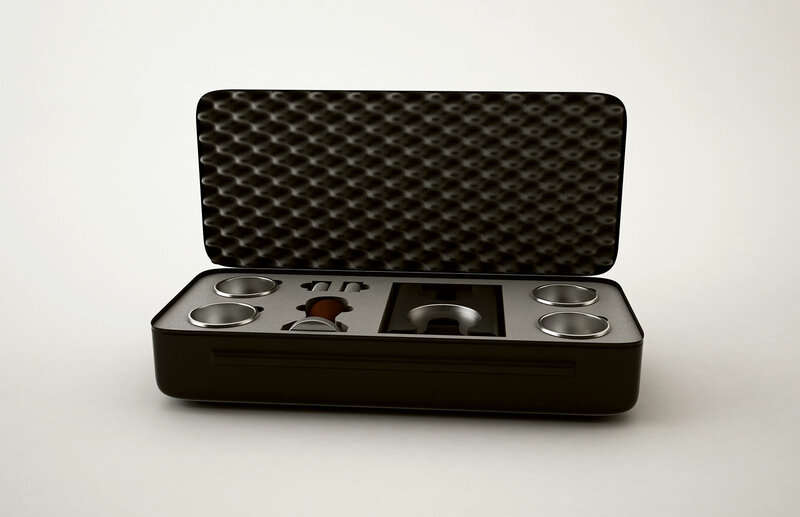 Holds your portafilter level and securely while you tamp. Avoid injury that can happen if the portafilter slips during tamping.